One person has been killed in a train crash in the Netherlands. At least 10 others were injured when the passenger train derailed near the town of Dalfsen, some 120 kilometres east of Amsterdam. 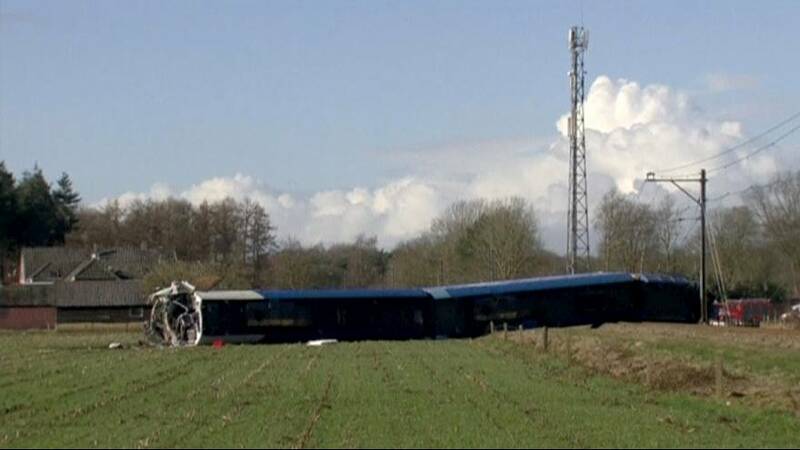 Carriages toppled over into a field after the train hit a maintenance crane on a crossing at around 9 a.m. on Tuesday. Fortunately, only 15 people or so were travelling on the rush-hour service. Eyewitness reports say the maintenance vehicle was slowly crossing the tracks when the crash took place. An investigation is underway.